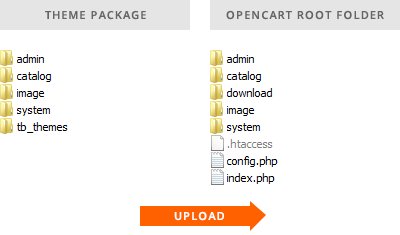 Be sure to have a working OpenCart 2 installation before you attempt to install the theme. Also, Pavilion is not compatible with OpenCart 2.0.0.0 (the first released version from the 2.x branch). You should have OpenCart 2.0.1.0 at least. In OpenCart admin panel go to Extensions › Modules and install Pavilion CP module. It you are using pavilion theme for the first time you may check the First Steps section in order to find out how to install some sample data or adjust the theme settings to your needs.